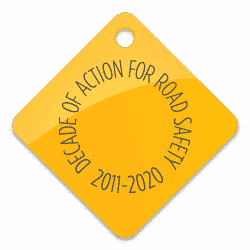 EASST is delighted to have been accepted as members of the UN Road Safety Collaboration (UNRSC) at a meeting in New York last week. EASST wholly endorses the vision and objectives of the UNRSC, and our own operations reflect the commitment to international cooperation, strengthened regional coordination and supporting country programmes in a high-risk region. Our work enhances the effectiveness of, and helps give a voice to, local road safety organisations – thereby making road safety programmes in the region more sustainable for the future. EASST and our partners have already been very active in UNRSC activities such as the annual UN Global Road Safety Week. Last year every partner country was hyperactive in promoting the message of ‘Save Lives #Slow Down.’ We will certainly continue to promote the activities of the UNRSC as part of our core projects. Emma MacLennan, Director General of EASST, expressed her delight at the decision.